Suffolk County Crime Stoppers and the Southampton Town Police Department are seeking the public’s assistance in locating a woman who stole an engagement ring late last year. 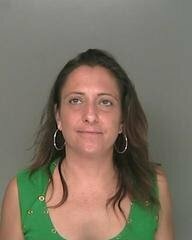 Southampton, NY - March 18th, 2014 - Suffolk County Crime Stoppers and the Southampton Town Police Department are seeking the public’s assistance in locating a woman who stole an engagement ring late last year. On November 13, 2013, Christina Botaitis-Lopresti (pictured right) stole an engagement ring in East Quogue. Botaitis-Lopresti may be in Patchogue or Sayville, possibly with a male companion, Andrew J. Hill. They may be traveling in Hill’s 2003 silver Saturn Vue, New York license plate GAC1681. Hill, who is not a suspect but is wanted for information, is pictured below. Subject: LongIsland.com - Your Name sent you Article details of "SCPD Seeking Help Locating Woman That Stole Engagement Ring"